Wear a BOSS hugegenius trim fit solid wool suit with a black dress shirt for incredibly stylish attire. Take your look into a sportier direction with black leather derby shoes. For a casually elegant getup, marry a BOSS hugegenius trim fit solid wool suit from Nordstrom with a white crew-neck t-shirt — these two pieces go nicely together. As you can see, getuping dapper doesn't take that much the office. Just consider wearing a BOSS hugegenius trim fit solid wool suit from Nordstrom and a navy henley shirt and you'll look incredibly stylish. 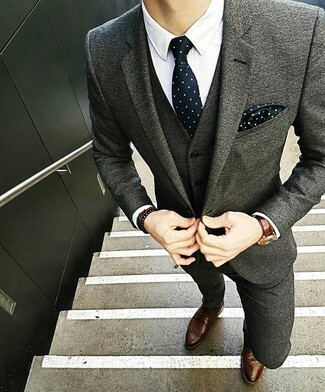 Something as simple as opting for a BOSS hugegenius trim fit solid wool suit and a white and navy polka dot dress shirt can potentially set you apart from the crowd. 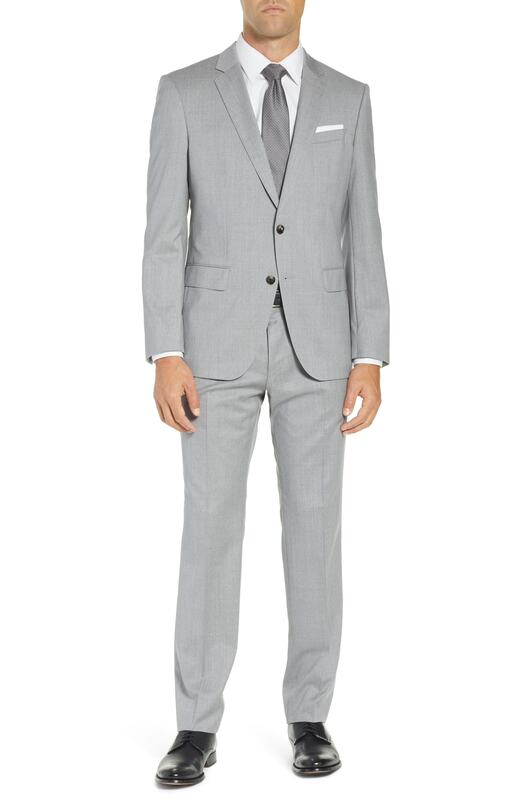 Try teaming a BOSS hugegenius trim fit solid wool suit from Nordstrom with a white dress shirt for incredibly stylish attire. 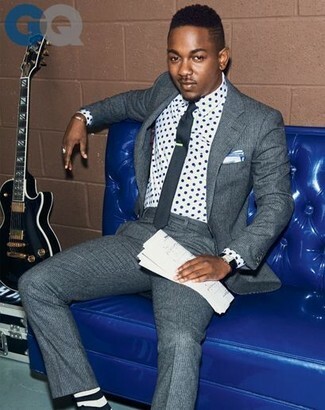 Rock a pair of brown leather brogues to make the look current. Make a BOSS hugegenius trim fit solid wool suit and a white dress shirt your outfit choice for a sharp, fashionable look. 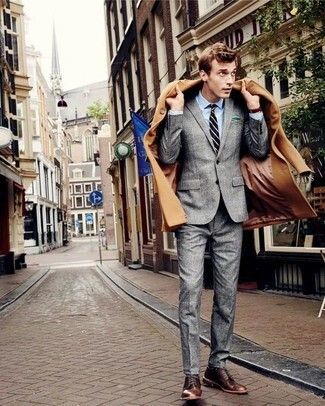 For a nothing less than incredibly stylish look, team a BOSS hugegenius trim fit solid wool suit with a camel overcoat. Make brown leather derby shoes your footwear choice to make the outfit more current. Reach for a BOSS hugegenius trim fit solid wool suit from Nordstrom and a burgundy turtleneck for a sharp classy look. 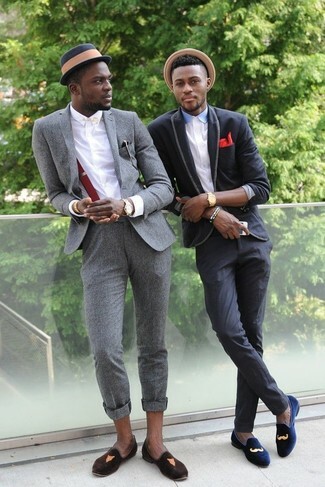 For something more on the daring side to complement this look, throw in a pair of white leather low top sneakers. For a nothing less than incredibly stylish ensemble, make a BOSS hugegenius trim fit solid wool suit and a white dress shirt your outfit choice. Opt for a pair of dark brown suede loafers to make the ensemble more current.